Put on a professional rugby game and watch a whole match, and one thing should stand out above everything else: the sheer physicality of the players involved. While football requires endurance and American football requires strength and agility, rugby requires all these things in spades. Not only are the rugby players you see in professional leagues at the top of their game skill-wise, but they're also often close to their peak physical condition. Otherwise, there's no way they'd be able to take the hits they do and keep on scrambling for the ball play after play. It's a testament to their commitment to training for the game they love. How do they do it, though? It's not just a matter of packing in cardio. Beyond a tough and demanding exercise regimen, rugby players know they need to eat well, too. They burn tonnes of calories both practising and playing, and their bodies need plenty of nutrients to aid in the recovery process and prepare for the next round of intense activity. We can learn some valuable lessons from these types of diets, even if they might overall be too much for the average person to handle. Let's break down the ways that these athletes approach their diet and touch upon how to mix in the appropriate training, too. Perhaps the most essential part of the rugby player's diet, protein powers up their bodies and primes their muscles for growth. Without an adequate intake of protein, there is no way a pro will be able to develop the right amount of power and strength necessary to survive in the scrum. Most athletes will supplement their natural protein intake with protein shakes, usually before or after a workout and near the beginning of their final meal for the day. These drinks make it easier to hit their daily nutrient targets, which can sometimes be tough with "real" food. In terms of protein consumed at mealtime, the pros most often choose lean meats such as chicken and fish alongside the occasional dish of red meat. It is also easy to find healthy proteins in snacks such as hummus. When you consume your protein during the day is also an important consideration, but we'll touch on that a little later. What carbs does a rugby player rely upon for energy? You won't find any "no carb" diets on an all-star rugby team, that's for sure ? these powerhouse nutrients are an essential part of providing the body with the energy you'll burn up during practice and play. 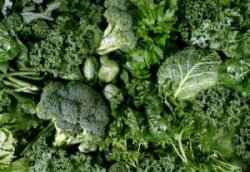 Where those carbs come from is what's important, though, and you'll find that the pros consume far more leafy greens and vegetables than you might expect. That's because these foods are abundant in the type of carbs that are best for the body, alongside plenty of dietary fibre. Think of it as a clean-burning fuel for your muscles and organs. Too many carbs can bog you down and make training that much more difficult, though, so athletes try to space out carb-heavy meals and avoid them before a big practice day. It's also important to avoid highly refined foods, such as white bread, which contain "empty" carbs and too much sugar. Consuming a carb-rich salad of greens is also a good opportunity to add in some healthy fats, such as olive oil or nuts. It's easy to think that a rugby professional's dietary efforts revolve solely around what foods they should eat, but what you shouldn'teat is just as important to consider. While everyone should have "cheat days" from time to time to allow for a mental respite from a rigorous diet, keeping out the "bad" foods the rest of the time is very important. Otherwise, it's very easy to disrupt the careful balance of nutrients and energy consumption they spend so long creating. To that end, cereals, most breads, white rice, and especially sugary sweets and drinks are totally off limits. Another item that should be on your "no" list if you're emulating a pro's diet? Alcohol! It might sound surprising, but it's true. Not only is it tough to make it to the gym with a hangover but alcohol packs tonnes of useless calories that only serve to disrupt the diet. During the season, you can expect players to keep a very keen eye on what they consume to avoid problematic items. For athletes at the top of the game, what you eat is just as important as when you eat. Eating two or three big meals a day just isn't conducive to maintaining the right diet. Not only are you likely to exercise on a full stomach in that scenario, but you'll also end up feeling much more tired and hungry in between meals. Hunger like that leads to snacking, and snacking quickly leads to a broken diet. To avoid that problem, rugby players eat meals all day long ? sometimes between four and seven "meals" a day. By breaking up their total caloric intake over the entire day, from breakfast until just before bedtime, it is both easier to consume the required nutrients and more enjoyable. Just as you become hungry again, your next mealtime arrives. With this kind of schedule, a pro always has the energy to work out at their maximum effort level. Spreading meals out around the clock helps, but what you eat for each of those meals matters, too. This is where "macronutrient" rationing comes into play. Macros are the big groups ? protein, carbs, etc. ? and when you consume them determines how well your body can use them. For example, protein needs to be a part of every meal, so that your body always has more available to process and use to rebuild. Carbs, on the other hand, should hit the table only after the biggest energy expenditure of the day. For a rugby player, that's usually their main practice or gym session. This way, the body is in the right state for maximum nutrient uptake. To help make this easier to understand, most players consult with a professional dietitian. They then formulate a plan for what timing their consumption of certain food groups. Despite all the different foods a pro rugby player consumes to balance their diet and provide their body with the right spread of macronutrients, they still won't be able to get everything they need to be at peak condition. This is where nutritional supplements become very important. Perhaps you already take a multivitamin every day ? that's a similar form of supplementation that helps cover any gaps in your diet. So, when you go supplement shopping, what could you pick up that the pros might buy? Protein powder is an obvious one that we've already discussed; this might be in the form of whey or some other animal or plant-derived protein. A good dose of Vitamin D3 is also a smart idea as it provides the body with more of the building blocks of recovery, allowing players to bounce back from soreness and injury faster. Omega 3 fatty acids, often taken in the form of a fish oil capsule, exert an anti-inflammatory effect on the body, another good way to combat post-workout soreness. Other supplements can be added as needed, such as pre-workout energy elixirs or nutrients that encourage muscle development. If your first thought when considering a diet like this is "Wow, that's a lot of food!" then don't worry ? you're not wrong. It certainly isn't the type of diet that you'll use to lose weight, as its focus lies primarily on building muscle, replacing lost calories from exertion, and maintaining high levels of energy. That's why it is so well suited to the highly demanding lifestyle of a rugby player. However, there are many elements here, such as knowing how to balance your macronutrients, and knowing when to eat to stave off diet-busting hunger ? that the average person can use. Consider your options, discuss your diet plans with your doctor, and see what you can accomplish. This article was written exclusively for Sports Fitness, an online sporting retailer where you can shop for rugby kit and accessories.